#6-07 Wall-mounted antique ball rack with decorative crown. Mahogany finish to match many Brunswick pool table models. 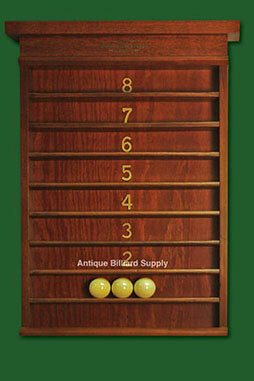 Used to display antique pool balls or other billiard memorabilia.